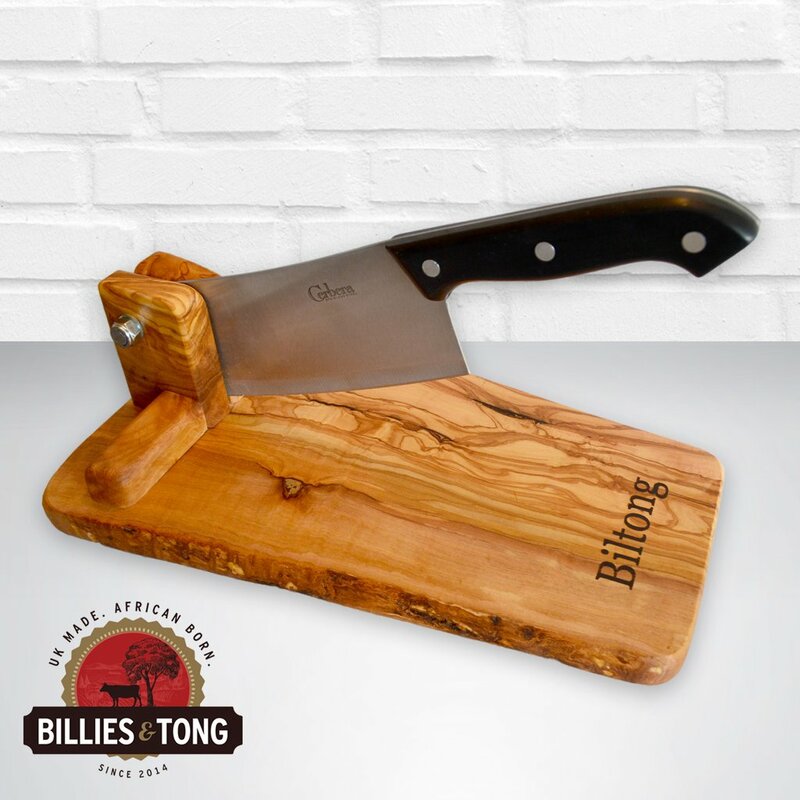 Purchase one of our handmade and long lasting, olive wood biltong slicers / choppers to go with your Billies & Tong biltong box. This beautiful olive wood cutter has the word ‘Biltong’ engraved in to the wood. These are multi use and make a great addition to any kitchen. They are fantastic for chopping vegetables and cooked/cured meats. Once purchased this will become your ‘go to’ slicer for all of your chopping & dicing needs….You will wonder how you ever coped without it! As our items are custom made we can also make a left handed slicer on request. £4 Shipping Royal Mail 2nd Class mainland UK. We now have shipping to Europe but if you want to check that we ship to your Country, just drop us an email for a quote. Please note; Not all olive wood cutters look the same. Sample pictures only as each one is unique. © Copyright - Billies and Tong.